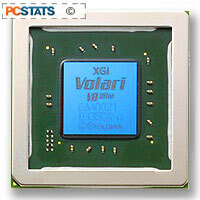 When XGI Technology announced the Volari line of graphics processors for the desktop and mobile market on September 15th, the collective response from the PC community was..."Wha...?" Closely followed by "who?" Not really surprising if you take things at face value, since in its current incarnation, XGI Technology has only been around since late May of 2003. Four months is not much time to put together a comprehensive line of graphics processor units. The truth, of course, is that XGI has been around in one incarnation or another for a fair bit longer than that, and hence there is a solid foundation for the products they are now selling. In this article, we will examine the company and their forthcoming products, and try to get a clearer picture of what exactly they are offering to the world of PC graphics. Who is XGI and why should you pay them close attention? Well, as mentioned above, XGI Technology Inc. was founded in Taiwan in May of this year. What's not mentioned, at least on their website is that XGI Technology, originally christened Tu Chiang Technology, then more tellingly Xabre Graphics Inc. (XGI), before settling on their current moniker (which stands for eXtreme Graphics Innovation), is actually the former Multimedia Product Division of Silicon integrated Systems (SiS). SiS are of course the noted chipset manufacturer, and the less noted producer of the ill-fated Xabre GPU and assorted other graphics chipsets. XGI's chairman, Louis Chien, is also the special assistant to the chairman of SiS Corporation, and its president Chris Lin was formerly the VP of the SiS Multimedia division. Shortly after its formation, XGI acquired Trident's mobile graphics division, along with the attendant business. According to news reports at the time, XGI intended to keep its former SiS and Trident employees working in separate teams on their individual graphics specialties, and then merge the research at a later date. This may go a long way in explaining how XGI technology has managed to offer such a comprehensive array of desktop and mobile GPU's in such a short period of time. When XGI Technology was formed, the general opinion was that they were going to develop and market a successor to the Xabre GPU, SiS's attempt at cracking the lower end PC games market. However, XGI later revealed that their product would not be christened the 'Xabre 2' or anything similar, owing to the fact that 'Xabre' was a trademark of SiS Corporation. Given that XGI, though an independent company, is partially owned and operated by SiS, this seems a somewhat unlikely reason. A more reasonable idea is that XGI management wanted to remove any association with the lower-end (and generally unheralded) Xabre GPU from its upcoming product line, given that some Volari models are targeted at the High-end gaming/PC enthusiast market.